Let’s take a closer look at the MAC West. The success started under Jerry Kill has been continued by Dave Doeren (2011 and 2012) and continued under Rod Carey who will be in his third season in 2015. The last five years have been impressive for North Illinois; five straight MAC Championship appearances, three MAC Championships, and five straight seasons with at least 11 wins. 2014 saw a precipitous drop in points per game by the offense. After averaging at least 38 points per game each season between 2010 and 2013, 2014 saw only 31.5 points per game and that was with 9 starters returning. In 2015, the offense loses the top rusher (Cameron Stingily – 971 yards and 14 touchdowns) as well as their top receiver (Da’Ron Brown – 68 catches for 1,065 yards and 6 touchdowns). Offsetting those losses are the return of the now experienced quarterback in Drew Hare. Hare threw for 2,322 yards (59.5%) with 18 touchdowns and 2 interceptions. He also was the team’s second leading rusher with 900 yards and 8 touchdowns. The Huskies also return the #2 running back as well as they #2, #3, and #4 receivers from 2014. The offense should continue to plug along. Defensively, the Huskies see 8 starters return from a unit that gave up 25.6 points per game in 2014. That number could be 7 depending on what happens to linebacker Rasheen Lemon, who was suspended in April for domestic battery. The loss of Lemon would hurt at LB, but the defensive line and secondary both return 3 starters each, which should help NIU improve on their numbers from 2014 (392 total yards per game, 163 rushing yards per game, and 229 passing yards per game). NIU has a tough out of conference slate that segues into the start of conference play. NIU faces Ohio State on the road September 19, Boston College on the road September 26, and Central Michigan on the road October 3. They draw Miami (OH) (away), Buffalo (away), and Ohio (home) from the East, which is manageable. Their two toughest MAC West foes are Toledo (away on Nov. 3) and Western Michigan (home on Nov. 18). The game against Toledo will probably decide the winner of the MAC West. Another double-digit win total is not out of reach for Northern Illinois. Matt Campbell has done well at Toledo in his first three seasons. He has guided the Rockets to a winning record all three years and made two bowl appearances (1-1 record in those 2 games). Now is the time for him to put Toledo back in the MAC Championship game for the first time since 2004. 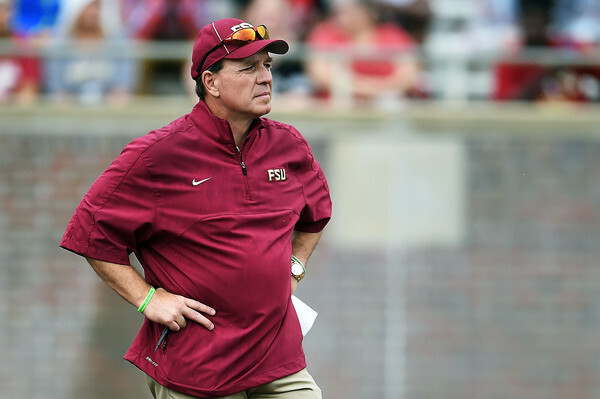 The offense has only 5 returning starters and have to replace the entire offensive line. That means the Rockets will lean heavily on the skill position players early on including the electric Kareem Hunt at running back. He ran for 1,631 yards and 16 touchdowns while averaging an astounding 8 yard per carry in 2014! Handing him the ball will most likely be former Alabama player Phillip Ely, who tore his ACL in the second game last season. The top two receivers return for Toledo and they will definitely help the offense continue to average over 30 points per game in 2015. Toledo has 8 starters back on defense. Similar to the offense, there is an entire unit that needs to be replaced and that is at linebacker. The three projected starters made only 4 starts in 2014, but they will have plenty of experience around them on the defensive line and secondary. Defensive end Trent Voss was a machine last year by recording 77 tackles, 10.5 tackles for loss, 4.5 sacks, and intercepting one pass. This unit, despite the inexperience at linebacker, should help the Rockets contend in the MAC West. Toledo has a difficult looking non-conference schedule (Stony Brook, at Arkansas, Iowa State, and Arkansas State), but could conceivably go 3-1 if they upset Iowa State and take care of Arkansas State. Toledo has a brutal ending to the regular season with a home game against Northern Illinois (Nov. 3) followed by back-to-back road games at Central Michigan (Nov. 10) and Bowling Green (Nov. 17). They end the season with Western Michigan at home on November 27. That four game stretch will ultimately decided where the Rockets finish in conference. Expect Toledo to go bowling again in 2015 and wins over Northern Illinois and Bowling Green could send them to the MAC Championship. The dark horse candidate in the MAC West division goes to Western Michigan. PJ Fleck is one of the up and coming coaches in the FBS and he has 16 starters returning from 2014. 9 of those starters are on offense including the MAC Freshman and MAC Offensive Player of the Year in running back Jarvion Franklin. Franklin was a workhorse by accumulating 1,551 yards and 24 touchdowns on 306 carries, Quarterback Zach Terrell also returns after throwing for 3,443 yards (67.9%) with 26 touchdowns and 10 interceptions. The top 8 receivers also return for Western Michigan, which makes this unit dangerous against any defense. The defense saw incredible improvement between year 1 and year 2 under Fleck. In 2013, the Broncos gave up 35.4 points and 419 yards per game with 7 returning starters. In 2014, those numbers were down to 24.9 points and 371 yards per game despite only five starters returning. 7 starters return for 2015 led by middle linebacker Grant DePalma. DePalma was second on the team in tackles with 102, recorded 5.5 tackles for loss, and had 2.5 sacks. There are some worries about the secondary (lost two big starters) that may hurt the Broncos on defense, but the defense should be fine overall. The Broncos are probably staring at a 2-2 non-conference schedule with games against Michigan State, at Georgia Southern, Murray State, and at Ohio State. They have an incredibly tough conference schedule thanks to drawing Ohio (road) and Bowling Green (home) from the MAC East. They also have to play at Northern Illinois and at Toledo, which is why they are being placed behind them. It would be a surprise if the Broncos did not reach a bowl game in 2015. Ball State has seen some success over the last decade. Brady Hoke led the Cardinals to back-to-back bowl games in 2007 and 2008 while current coach Pete Lembo did the same in 2012 and 2013. Ball State lost all four of those bowl games and are 0-7 all time in bowl games. What does 2015 have in store? The offense returns 10 of its starters from last season. The one position they have to fill is a big one at running back. In 201, Jahwan Edwards ran for 1,252 yards and 12 touchdowns while helping out the inexperienced quarterbacks. Now it will be up to Jack Milas to help the inexperienced running back. Milas threw for 1,302 yards with 9 touchdowns and 5 interceptions as a redshirt freshman. The top three receivers return, which should make this offense potent. On defense, Ball State has 8 starters coming back including their top five tacklers from 2014. The secondary is a slight concern with two starters gone, but the front seven appears to be the strong point of the defense. Linebackers Zach Ryan and Ben Ingle were #1 and #2 in tackles respectively in 2014 and will be raking in the tackles again in 2015. There may be some issues defending the pass in 2015, but with 8 total starters back the defense should be fine. Ball State has their non-conference schedule strewn across the season. The open with VMI and a road trip to Texas A&M before starting MAC play. Between Texas A&M on September 12 and Northern Illinois on October 10, the Cardinals have 4 road games in 5 weeks. The one lone home game during that time? Toledo. The Cardinals end the season with back-to-back games against MAC East foes Ohio (road) and Bowling Green (home). It will not be an easy task for Ball State to reach 6 wins in 2015. Central Michigan had a lot going for them in 2014. They returned 18 starters and were in year five of the Dan Enos era as well as some winnable non-conference games against Chattanooga, Purdue, Syracuse, and Kansas. They ended up splitting those 4 contests and finished 7-6 overall after a crushing last second loss in the Bahamas Bowl to Western Kentucky. Enos is now gone and John Bonamego comes in with a tough task in his first season. Only five starters return on offense, but one of them is quarterback Cooper Rush. He threw for 3,157 yards (63.6%) with 27 touchdowns and 13 interceptions. He will not have his first and third leading receivers from 2014 to throw to and will also be missing his starting running back. The offensive line does return three starters, but they will be hard-pressed to top their 27 points per game average of 2014. Just like the offense, the defense only returns five starters from a unit that gave up 25.2 points and 355 yards per game in 2014. The strength will be up front with three of the four starters returning from a unit that allowed only 123 yards rushing per game. The entire linebacking unit has to be replaced and only two of the starters return in the secondary. The defense will probably perform much worse in comparison to last season. The first year under a new head coach can be difficult especially when there are not a lot of starters returning. The Chippewas will face Oklahoma State and Monmouth at home to open the season before road games at Syracuse and Michigan State. They did not draw the most difficult opponents from the MAC East with Buffalo, Akron, and Kent State making appearances on the schedule. Still, this appears to be a rebuilding season for Central Michigan. 2014 was not a good year for Eastern Michigan under the first year of head coach Chris Creighton. All of their losses were by at least double digits, but the Eagles were able to win 2 games against Morgan State and Buffalo. 2015 appears to have a better team for the Eagles, but will that translate on the field? Offensively, five starters return from a team that averaged only 15.2 points and 290 yards per game in 2014. That can only improve especially with the dynamic Reggie Bell behind center. 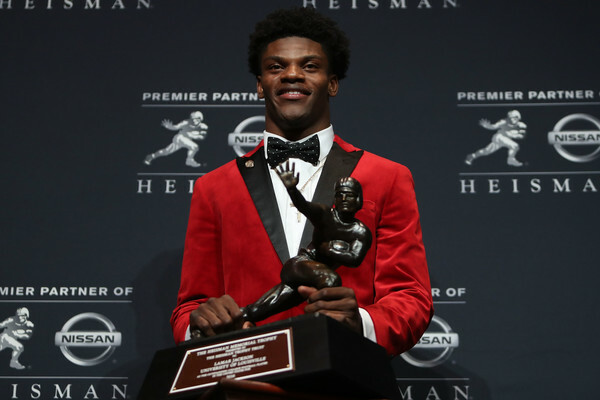 He is a dual threat quarterback who led the team in passing (1,297 yards with 8 touchdowns and 6 interceptions) and rushing (562 yards and 4 touchdowns). He loses his top target, but does have his #2 and #3 receivers from 2014 to throw to. With a year in the system complete, the offense can only do better. There is plenty of room for improvement on defense, but 2014 was actually better than 2013. In 2013, the Eagles gave up 45.2 points and 511 yards per game with 5 starters returning. 2014 had 4 starters return and the Eagles gave up 40.9 points and 499 yards per game. 2015 should see those numbers continue to decline with 8 starters back. The front six in this 4-2-5 system looks like it will be better with all six coming back from last season. The back five only returns two starters, but adds in a former quarterback and two upperclassmen are expected to start. The defense will not be overwhelming, but there should be continued improvement over the past two seasons. Eastern Michigan does not have the toughest non-conference schedule with games against Old Dominion (home), Wyoming (road), Army (home), and LSU (road), but it will be tough for them to eke out even a victory. From the MAC East, they do draw Akron, Miami (OH), and Massachusetts, which could provide a victory for them. 2015 is another year of rebuilding for Eastern Michigan. Just like the MAC East, the West appears to be a two-horse race between Toledo and Northern Illinois. Western Michigan is a dark horse in this race, but their MAC schedule is brutal. They will probably make it to a bowl game while the bottom trio of Ball State, Central Michigan, and Eastern Michigan will battle to stay out of the cellar. Below is a recap of the predicted order of finish. The predicted MAC Championship will be Ohio versus Northern Illinois. 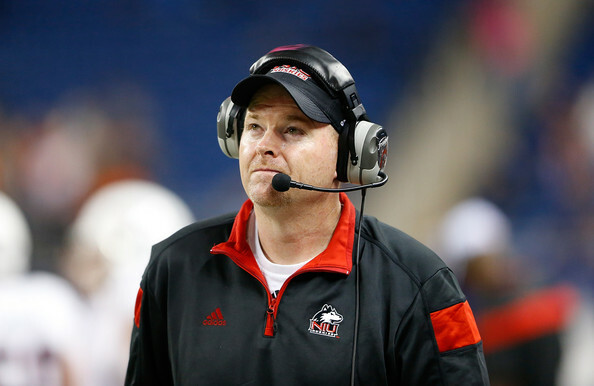 Northern Illinois will be selected as the preseason pick to win the MAC Championship. Check back on Tuesday, July 7 to see the Mountain West Conference – Mountain Division Preview.